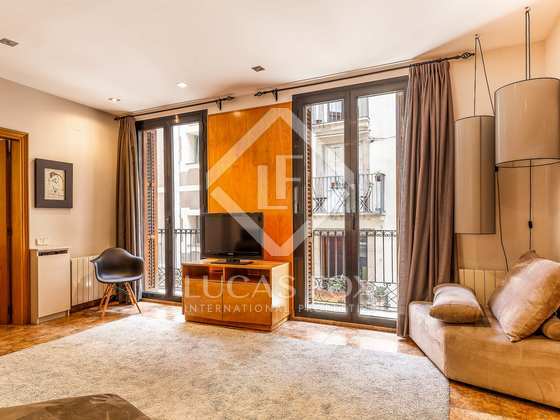 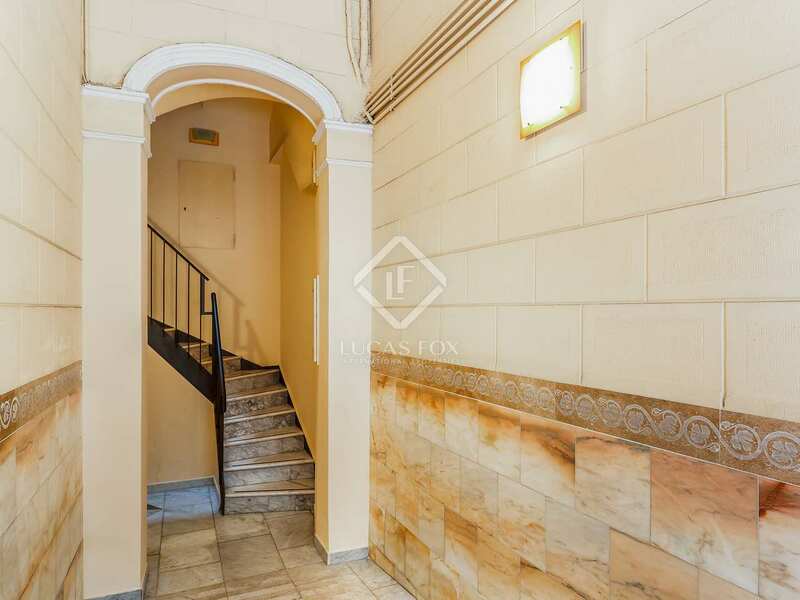 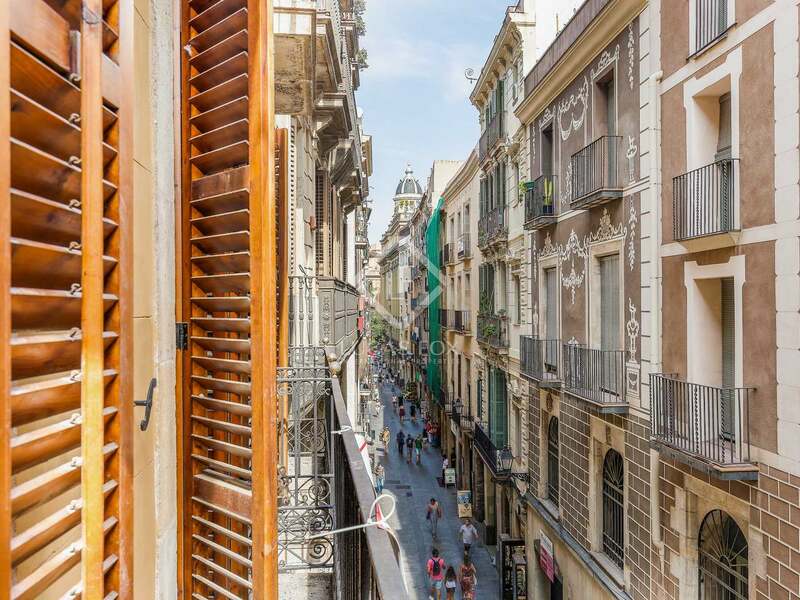 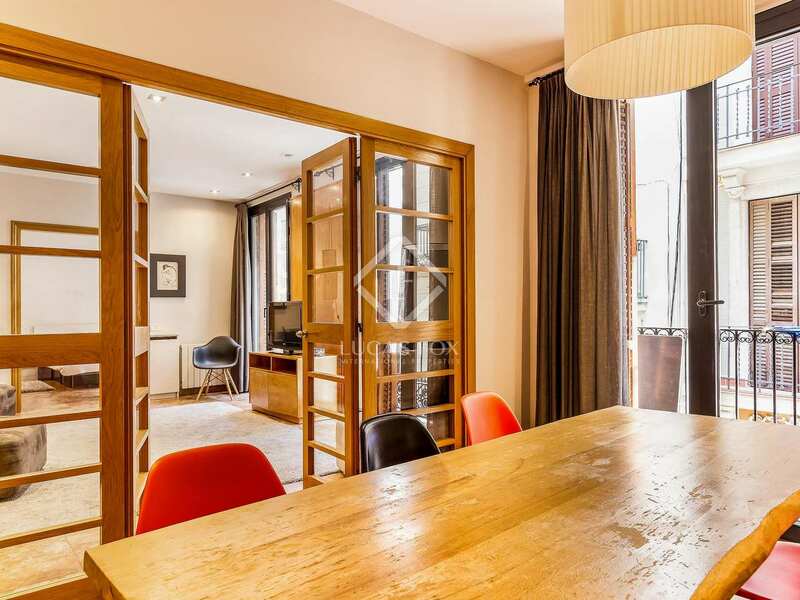 This spacious 185 m² apartment is located on the second floor of a renovated stately building with a lift in the Gothic Quarter of Barcelona, specifically on Carrer Comtal. 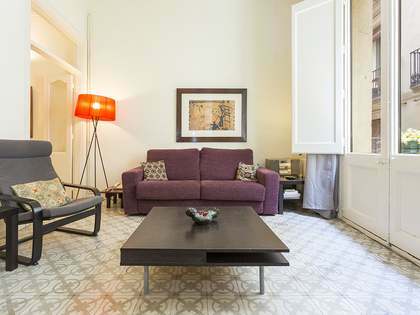 We are welcomed by a spacious hall that leads to the day area, with a large living room with 2 balconies and a kitchen that is equipped and has been renovated with high quality materials. 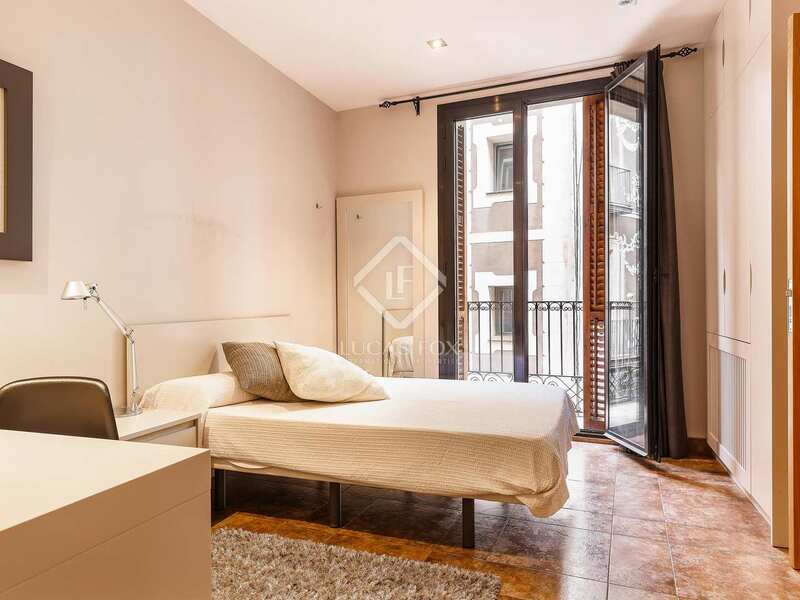 The apartment consists of 5 double bedrooms (one with private bathroom and another with access to a patio-terrace of about 8 m²) and one single. 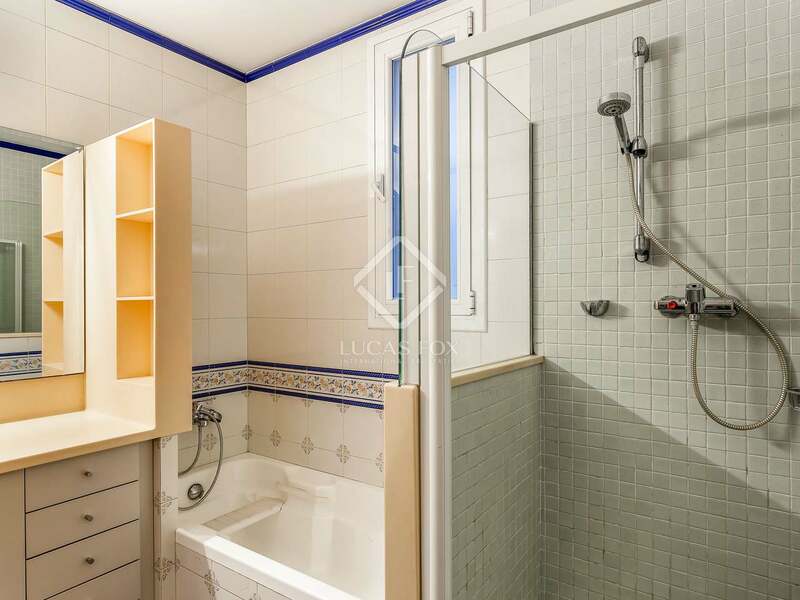 It also has a toilet and a very large bathroom with a bathtub and shower. 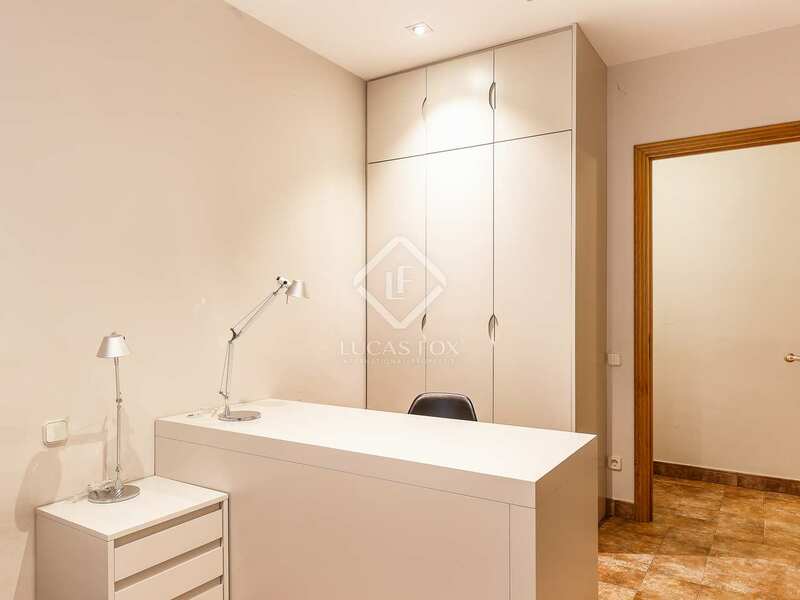 Finally we find 2 other rooms that could be used as offices for example. 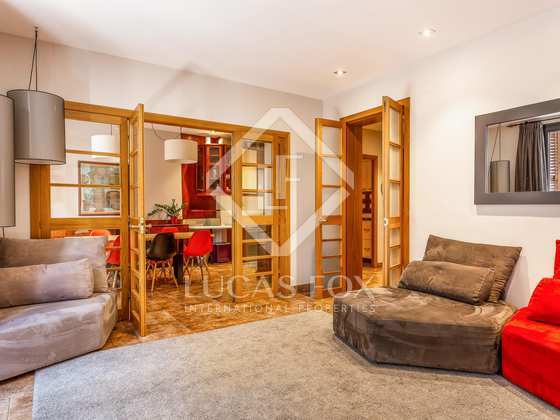 What's more, this comfortable home has heating, air conditioning and double glazed windows. 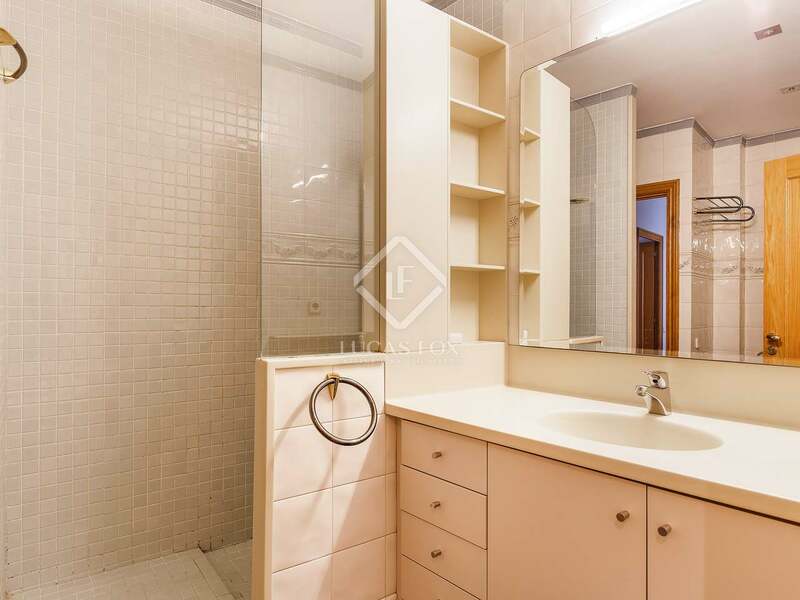 The parking spaces and storage area must be purchased with the property, they are not included in the sale price. 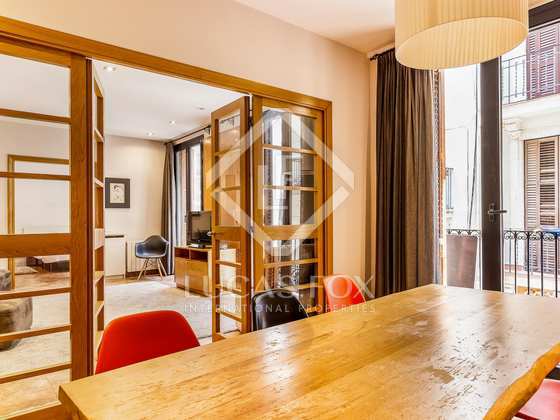 Do not hesitate to call us to arrange a visit to this beautiful apartment in the Gothic neighbourhood. 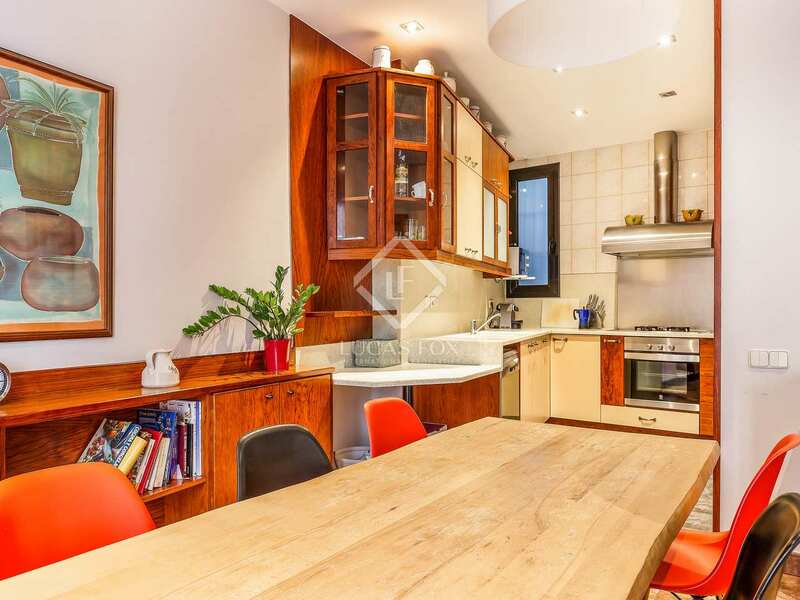 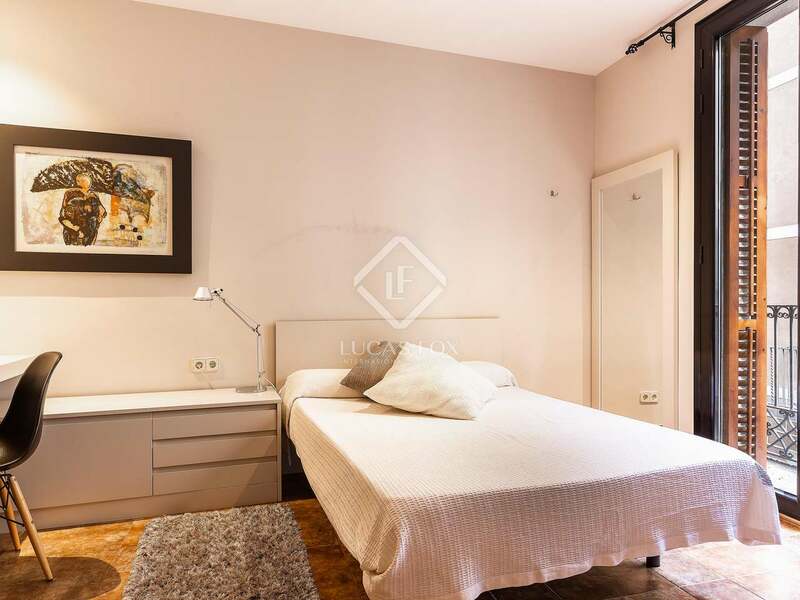 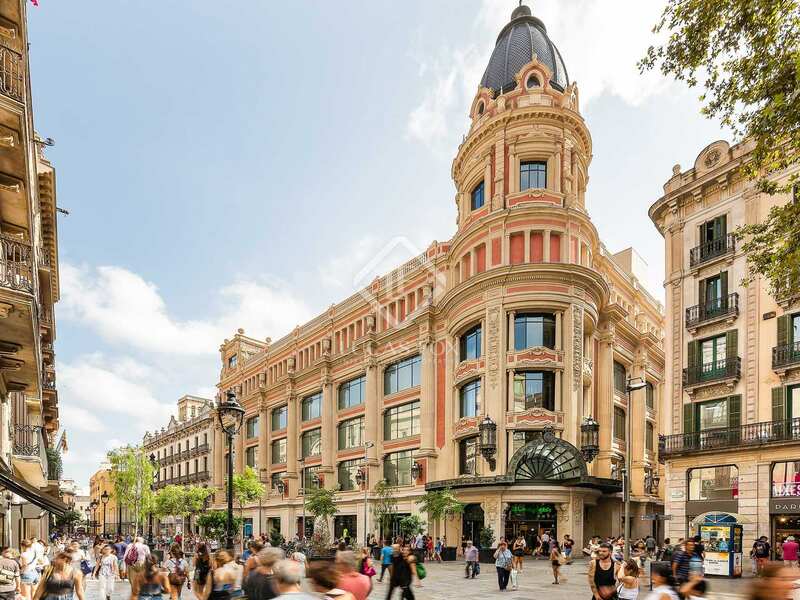 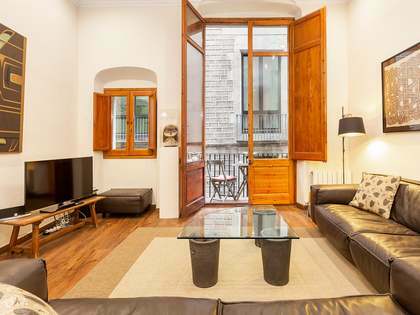 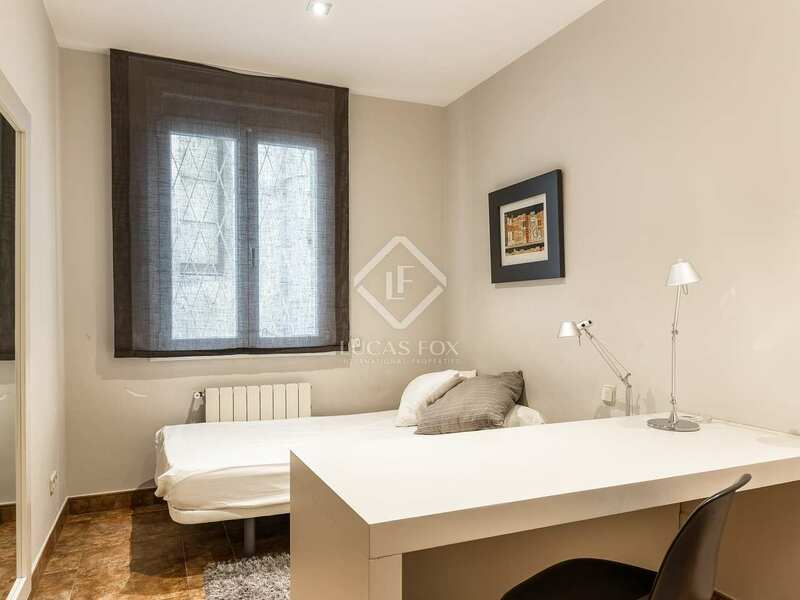 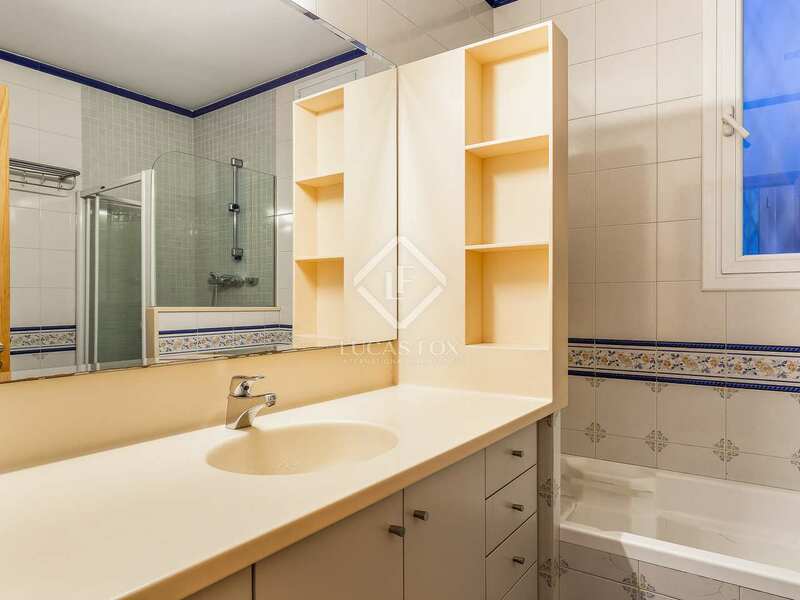 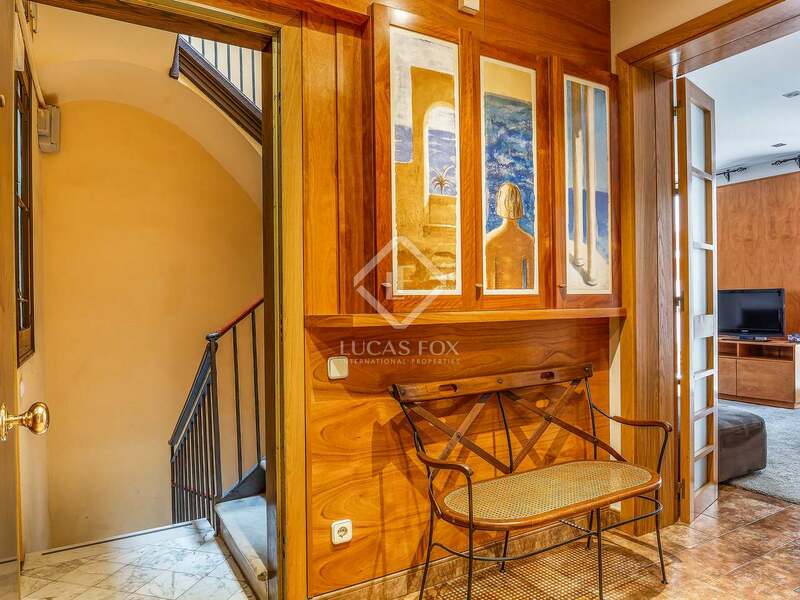 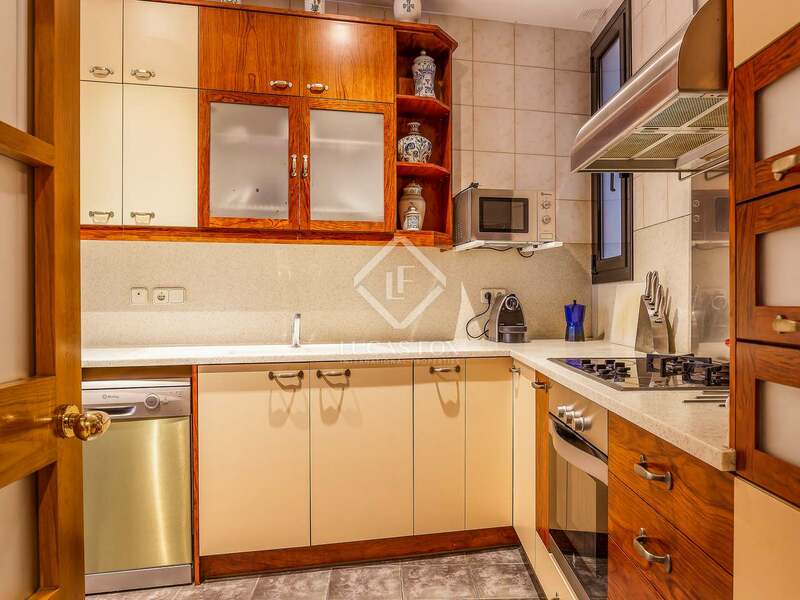 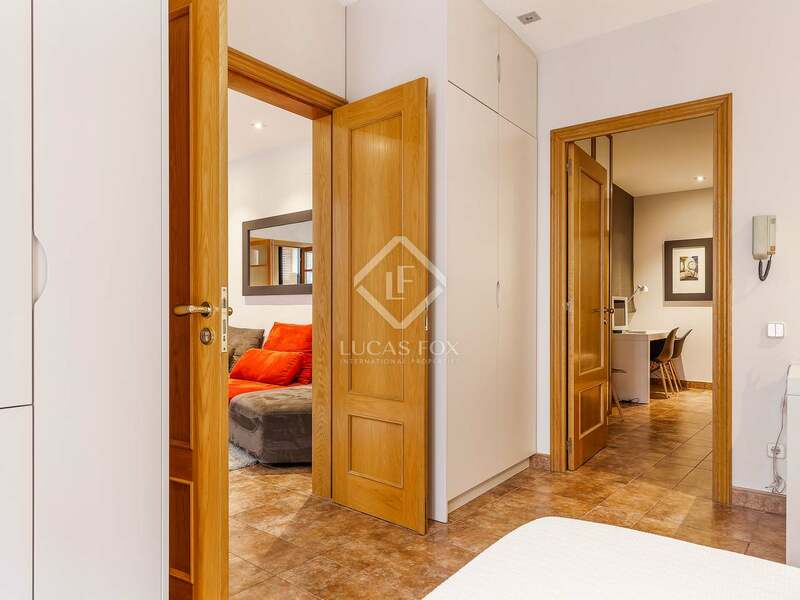 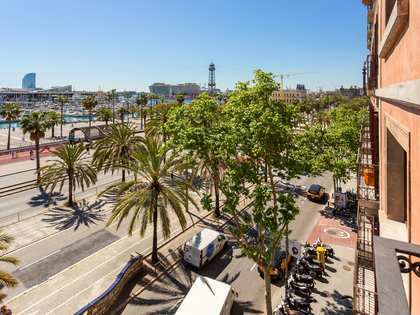 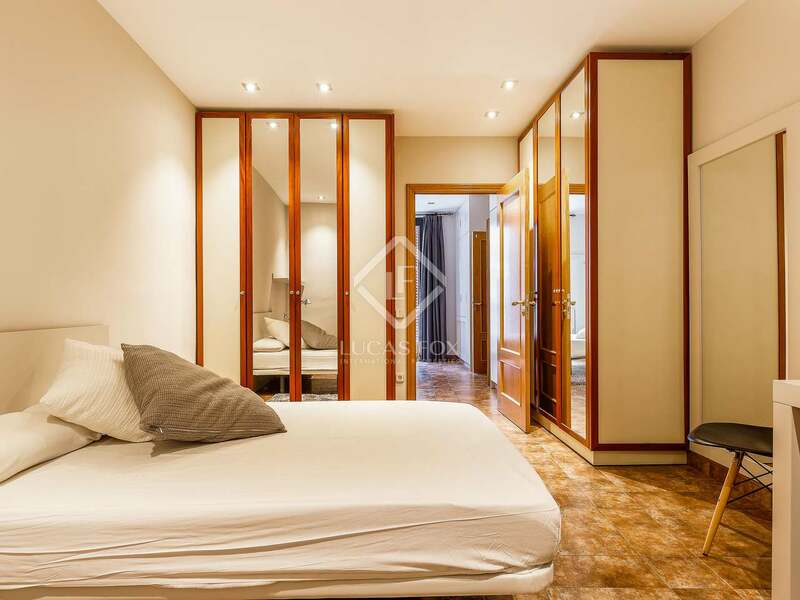 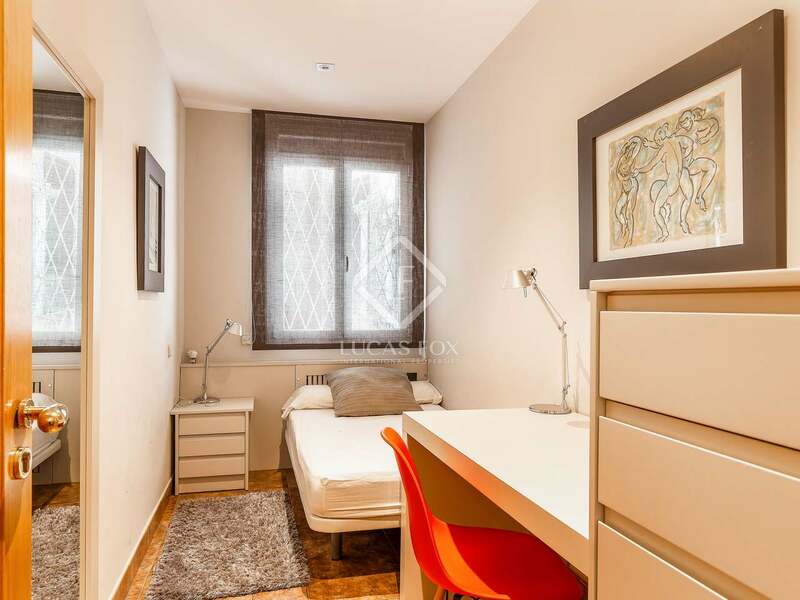 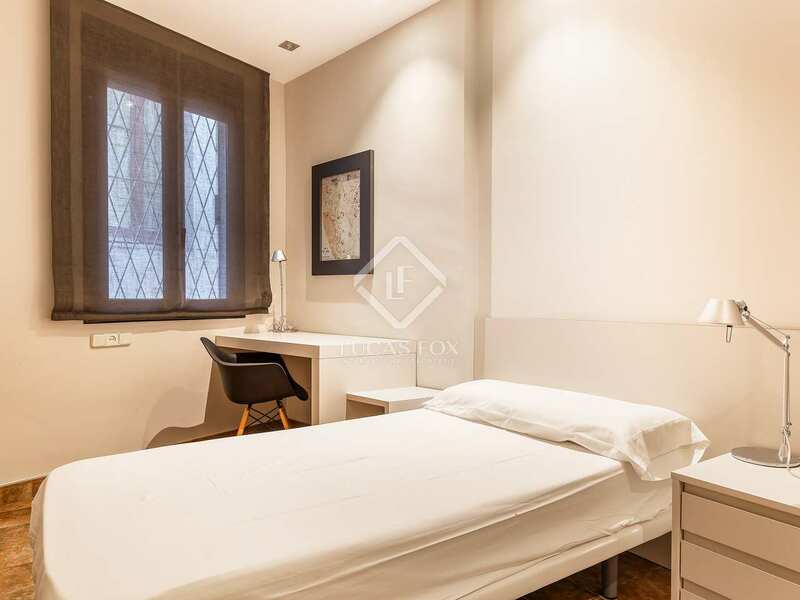 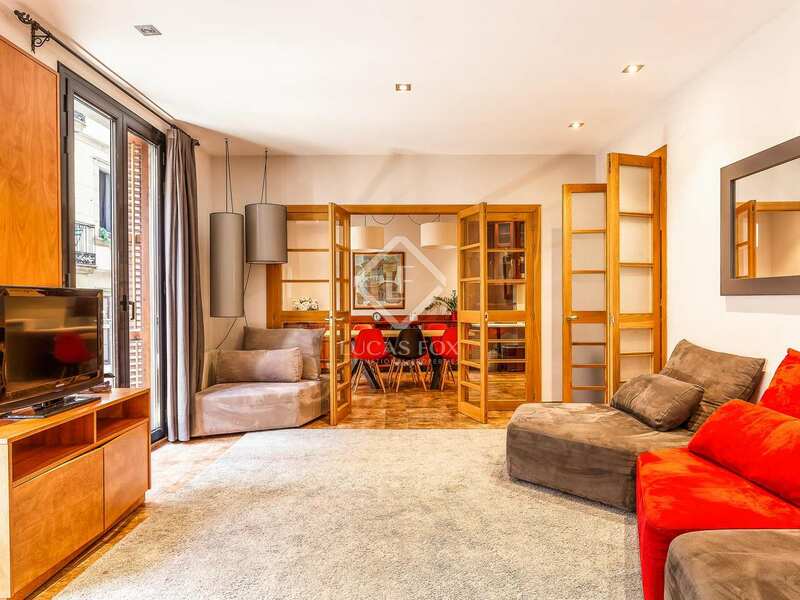 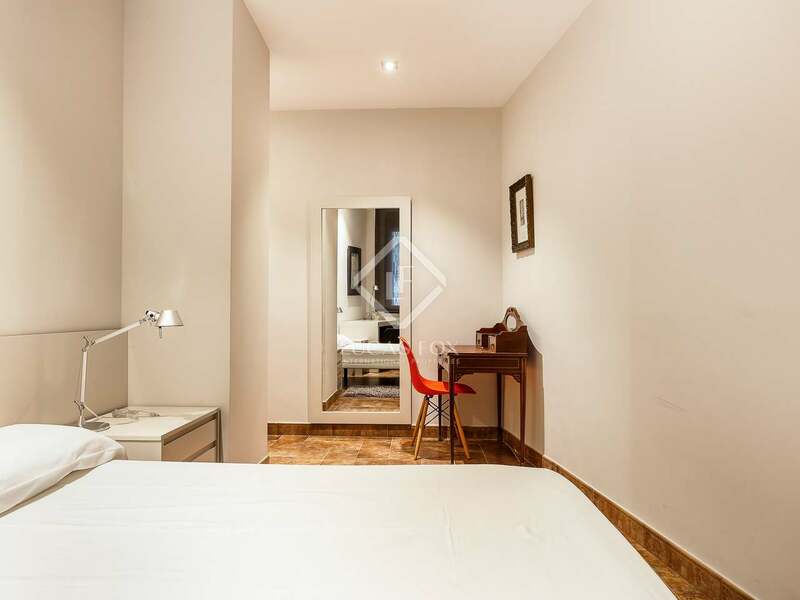 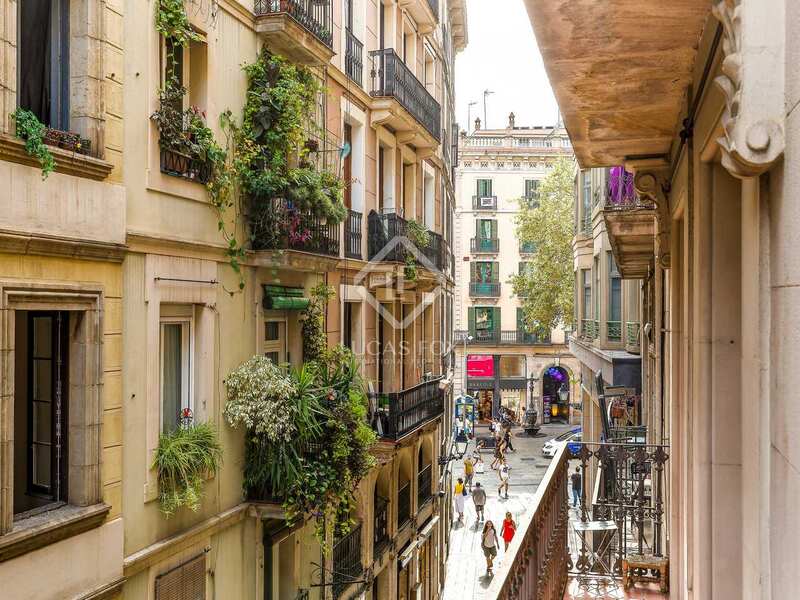 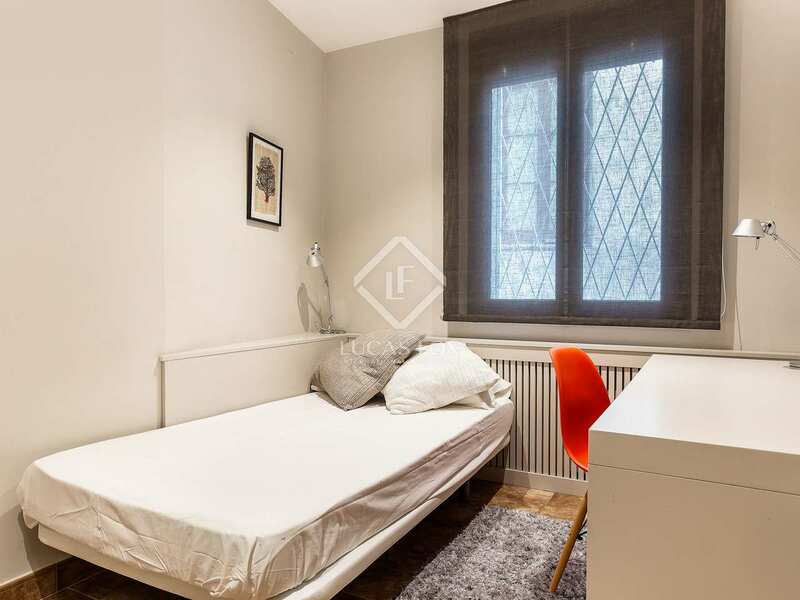 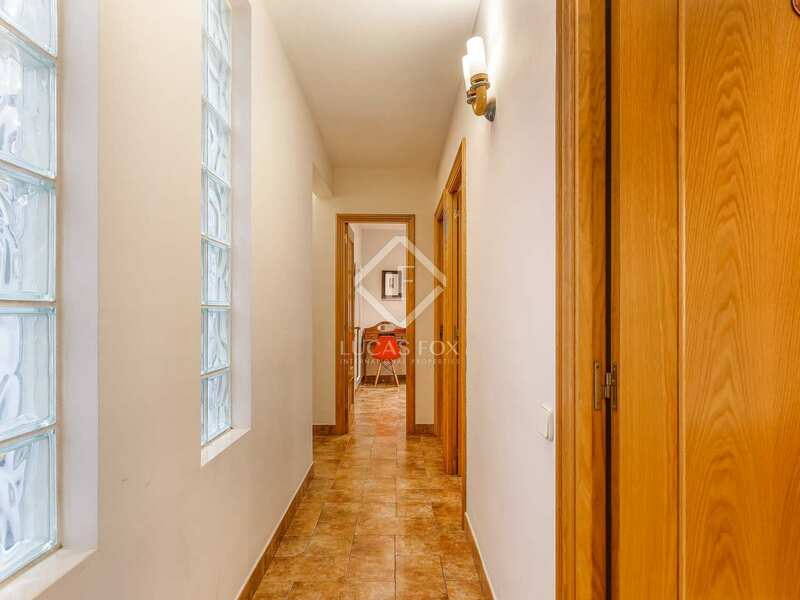 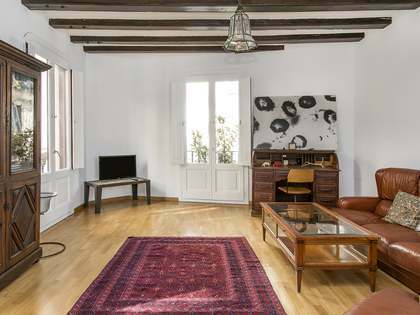 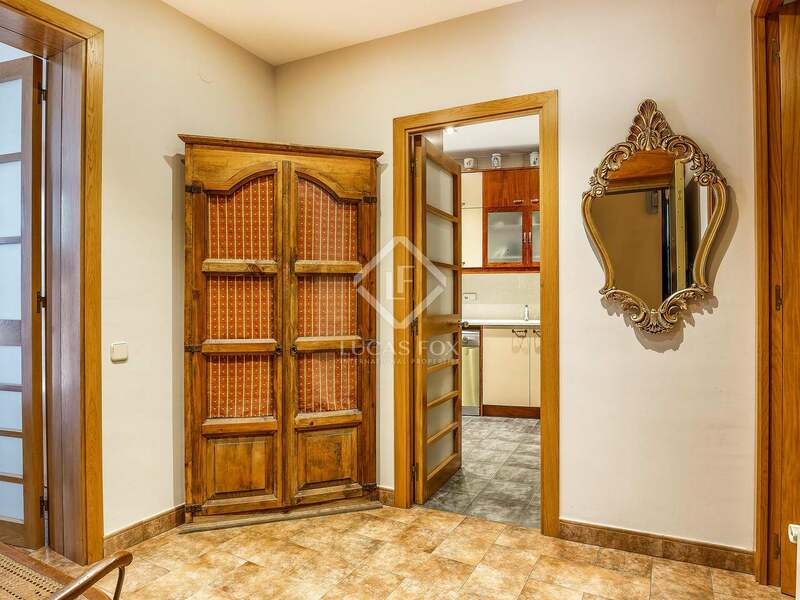 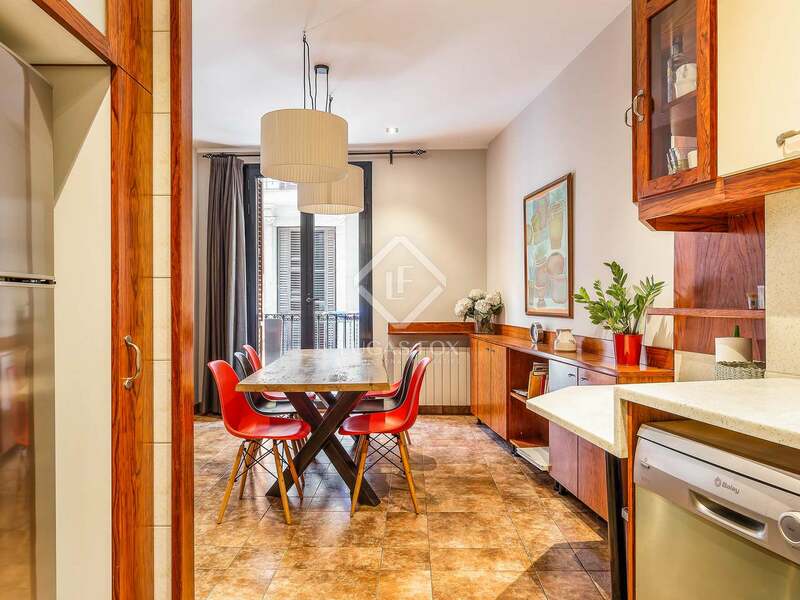 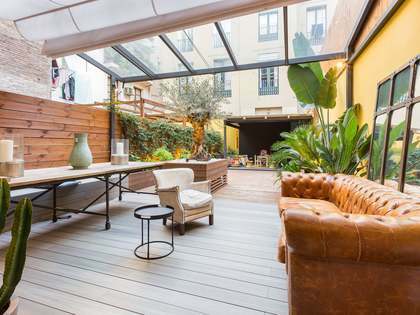 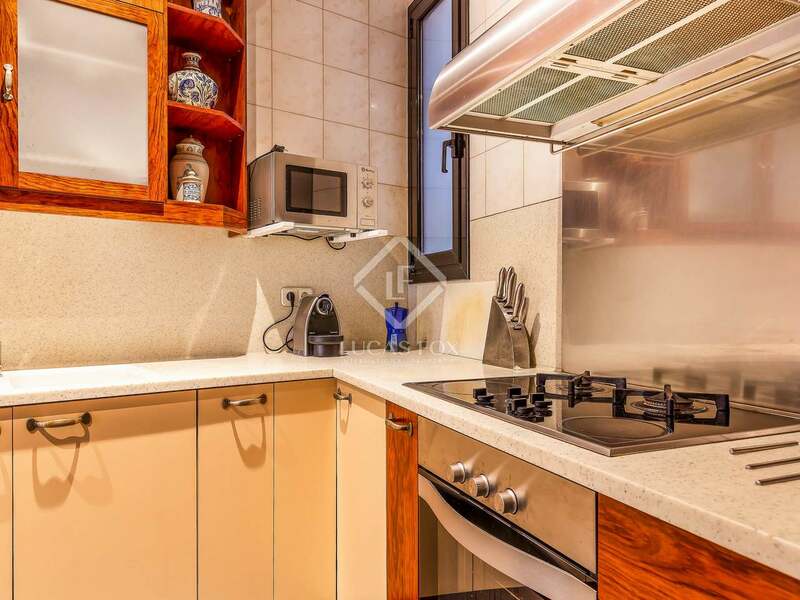 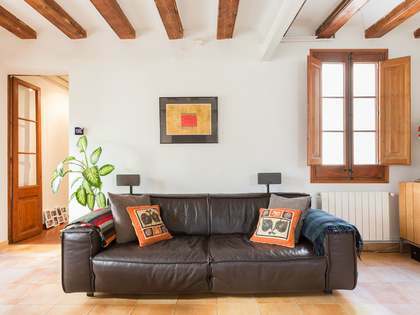 This property is located in the Gothic neighbourhood of Barcelona, close to Plaça Catalunya, public trasport and all services.